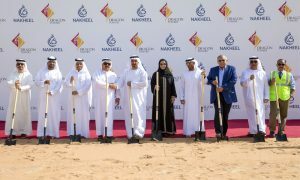 Dubai-based Nakheel has tasked six Emirati-led companies from the emirate with overseeing the design and construction supervision of its AED7.5 billion ($2.04bn) Jebel Ali Gardens community. 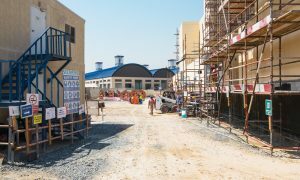 The developer said in a statement that the move is in line with its policy of drawing on the talent and expertise of home-grown engineering and architectural consultants and reflects Nakheel’s policy of engaging local engineers and designers for both in-house and consultancy roles to deliver its vast range of new projects. The six consultants to be appointed on the project are Middle East Engineering Consultants (MEECON), Golden Square Engineering, Eng. Adnan Saffarini Office, Arif & Bintoak Consulting Architects & Engineers, Design Center Architects & Engineers Consultants and Bel-Yoahah Architectural & Engineering Consultants. “Nakheel itself is a home-grown developer, which has rapidly become one the world’s biggest names in real estate. As we embark on a new phase in our growth, we are proud to support Emirati companies to help us achieve our business goals and reinforce our position as a global leader in creative, innovative engineering,” said Ali Rashid Lootah, chairman of Nakheel. The Jebel Ali Gardens development will have 42 towers housing 40,000 people in nearly 10,000 apartments. 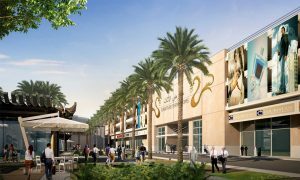 A construction tender will be released in the first quarter of 2017, with anticipated completion in the first quarter of 2020, the Nakheel statement said. 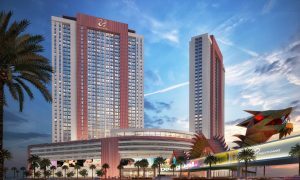 The project is one of a growing number of developments in Nakheel’s residential leasing portfolio – a key focus of the company’s new business strategy – which aims to double the number of existing units for lease to nearly 36,000. 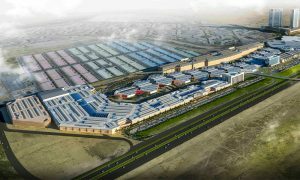 Set on a 5.5 million sq ft site, 20% of the area will be communal green space, with a total built-up area of 19 million sq ft, Nakheel added. 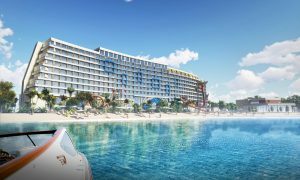 The 10,000 apartments will range from one to three bedrooms and facilities and amenities will include landscaped gardens featuring a central park, swimming pools, a jogging track, football fields and tennis and basketball courts. There will also be three mosques accommodating up to 3,000 people between them. The 42 buildings, ranging from 18 to 29 floors, will be grouped into 12 blocks, each featuring a gym with panoramic views. There will also be ground-floor retail space in each building.